I am hard pressed to little more than chuckle at the recently released report by the New York Federal Reserve concerning the regulatory failures at Deutsche Bank. Why so amused? The Financial Times informs us the regulators at the NY Fed are so ‘steamed’ due to “Deutsche’s perceived failure to act on similar problems raised by regulators since 2002.” Yes, 2002. That is not a misprint. What does that tell us? The public at large rails on those in Washington for going easy on our ‘too big to fail’ banks for a host of clearly criminal practices. Uncle Sam — that is the SEC, other regulators, and ultimately the Department of Justice — try to talk tough and hit an array of institutions with sizable fines but little really changes. The public continues to see through the facade and lets Uncle Sam know it. The ‘old man’ decides he needs to really get tough and begins to mandate that institutions admit guilt as part of the settlement process. The first guilty party is Credit Suisse, then next up is BNP Paribas. With those two statements, Senator Warren (D-MA) indicts the current scandalous practices if not outright corruption that lies at the intersection of Wall Street and Washington and provides the public’s concluding sentiment as detailed in In Bed with Wall Street. The clip runs a mere 6-minutes. 1. Congress should launch a privately run Office of Whistleblower Protection. 2. Wall Street’s private police detail, that is the financial self-regulatory organization FINRA, should no longer have absolute immunity and should be subject to the Freedom of Information Act. 3. Wall Street arbitration should be optional and not mandatory so as to end the kangaroo court. 4. End the self-regulatory oversight of Wall Street. 5. 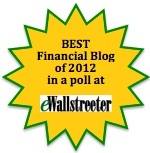 BREAK UP THE ‘TOO BIG TO FAIL’ BANKS!! Is anybody in favor of the ongoing cronyism and corruption that defines our current system? 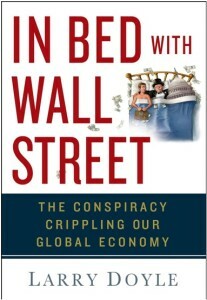 Please order a copy of my book, In Bed with Wall Street: The Conspiracy Crippling Our Global Economy. Instead of wasting three hours watching The Wolf of Wall Street, I have a much better video for you to view — and in less than half the time. Much better. If you really want to know what our financial regulators were doing while the destructive behaviors on Wall Street brought down our markets and our nation’s economy, find 80 minutes to watch remarks delivered recently by former SEC attorney and noted whistleblower Gary Aguirre at the University of Notre Dame. Aguirre’s remarks put a whole new spin on the moniker, Fightin’ Irish. Major props to those at ND for giving Aguirre the forum to speak and spread the truth. Other colleges and universities should be so courageous. Gary Aguirre is a true American hero. If you cannot watch this video today, come back to it over the weekend. After you watch the clip, I guarantee you will want to share it with your friends and colleagues so they can understand how cronyism and corruption within the financial regulatory system has eroded the sense of trust and confidence that currently permeates our nation. You really need to watch this.